This sweet pita bread recipe is fueling. And you can make it in minutes! A snowstorm is going to start tonight where I live in New Jersey. And on a day like tomorrow, when I'll be hunkered up inside, I look to cozy comfort food. And this pita recipe is just that. You can have it as a snack or a dessert! This pita snack is inspired by a vacation I took to Prague years ago with my good friend Diana. We visited a tea house called Dobra Cajovna. In addition to tea, this establishment serves different sweet and savory pita breads. I honestly don't remember what Diana and I ordered all those years ago. But I know it had featured some combination of fruit and sweet cheese, so I set out to create something similar. Toast the pita bread. Meanwhile, microwave cherries in a small bowl until warm, about 1 minute. 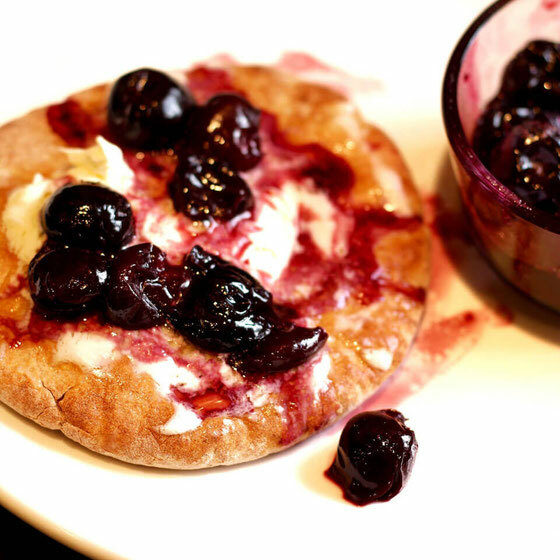 Top pita with mascarpone and cherries. 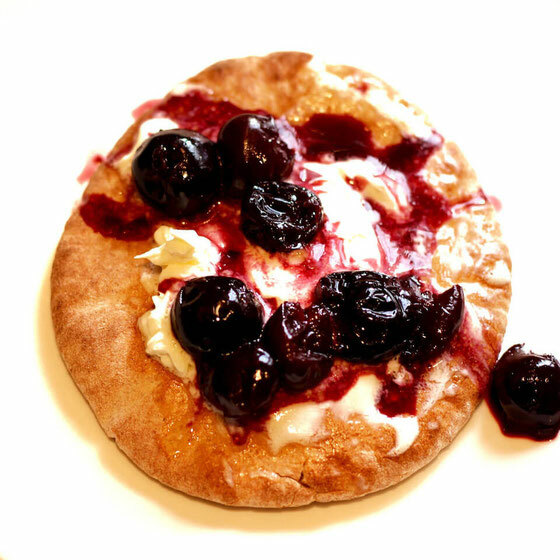 (Note: You can also slice the pita and stuff the middle with the mascarpone and cherries.) Serves 1. What are your thoughts on this topic? What else do you think would make a delicious pita topping?